The WGAD carried out its investigation pursuant to an Observatory’s Urgent Appeal published in August 2013, and its opinion was transmitted to the Observatory for the Protection of Human Rights Defenders on February 4, 2014. The Observatory is an FIDH-OMCT joint programme. Messrs. Khosro Kordpour and Massoud Kordpour are brothers and respectively editor of and correspondent with the Mukrian News Agency, reporting mainly about the conditions of civil rights activists, political prisoners and human rights violations in particular in the Iranian Kurdish-inhabited regions and cities. They were arrested on March 7 and 9, 2013, respectively, in the west-Iranian mainly Kurdish-inhabited city of Mahabad. Mr. Khosro Kordpour was charged in June 2013 with “moharebeh” (“waging war against God”), “corruption on earth through assembly and collusion to commit crimes against the national security”, “insulting the Leader”, “spreading propaganda against the State” and “spreading lies with intent to disturb the public minds”. Mr. Massoud Kordpour was also charged in June 201 with “assembly and collusion to commit crimes against the national security”, “insulting the Leader”, “spreading propaganda against the State” and “spreading lies with intent to disturb the public minds”. Both were tried in the framework of three hearings held in August, September and October 2013 before Branch 1 of the Islamic Revolution Court of Mahabad. On November 9, 2013, the same court sentenced Mr. Khosro Kordpour to five years in prison to be served in internal exile in Tabriz prison as well as two years of internal exile in the city of Kerman for “assembly and collusion”, and to one additional year in prison for “spreading propaganda”, while Mr. Massoud Kordpour was sentenced to three years in prison for “assembly and collusion” and to six months’ imprisonment for “spreading propaganda”. 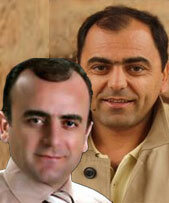 Both currently remain detained in Mahabad prison. In its decision, the UN WGAD highlighted that the trial of the Kordpour brothers was “flawed in a number of respects from an international human rights law perspective” and noted a number of violations such as “the inordinate delay in according them access to a lawyer, the 45-day delay in commencing interrogation and the jurisdiction of the court before which they [were] tried”. The UN Working Group found more generally that “a number of Iranian laws and policies, including the 1986 Press Law, the 2009 Computer Crimes Law and the 2010 Cybercrime law are not in conformity with the right to freedom of expression and access to information under international law”, that the “charges against the Kordpour brothers are vague and ambiguous and therefore difficult to substantiate” whereas international law provides that “restrictions on the freedom of expression must be unambiguous, narrow and accompanied by adequate safeguards against abuse”. The UN WGAD therefore concluded that “the deprivation of liberty of Khosro Kordpour and Massoud Kordpour is arbitrary, being in contravention of Articles 9, 10 and 19 of the Universal Declaration of Human Rights and […] of Articles 9, 14 and 19 of the International Covenant on Civil and Political Rights”. Accordingly, the UN WGAD requested “the Government of the Islamic Republic of Iran to release Khosro Kordpour and Massoud Kordpour forthwith and bring their situation in conformity with the requirements of international human rights instruments”, and to provide them “with appropriate reparation”. The Observatory calls upon the Iranian authorities to implement the UN WGAD decision immediately and unconditionally.